Walt Whitman was an American poet, essayist and journalist. A humanist, he was a part of the transition between transcendentalism and realism, incorporating both views in his works. 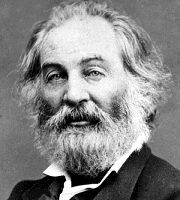 Whitman is among the most influential poets in the American canon, often called the father of free verse. His work was very controversial in its time, particularly his poetry collection Leaves of Grass, which was described as obscene for its overt sexuality.